Living Room by Summer Thornton Design. We love the idea of using the shade to deliver a burst of energy to a living space, whether it be through accessories, furnishings or artwork. 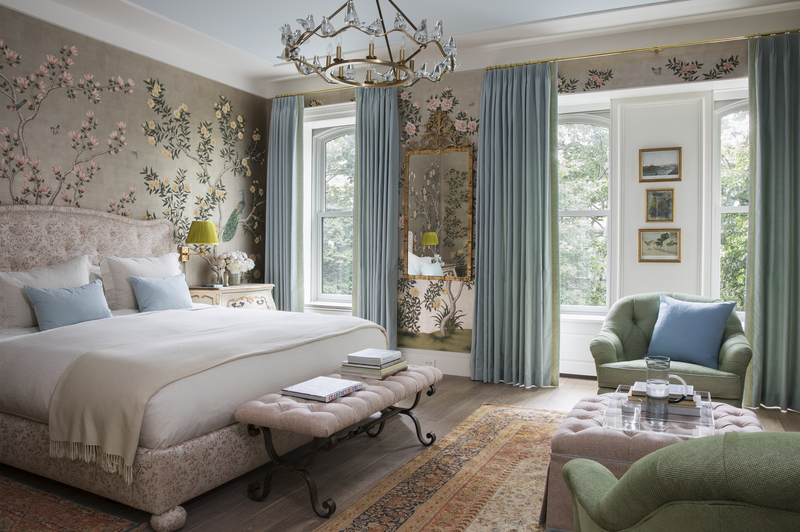 In the room above, designed by Summer Thornton, the bold coral of the settee is grounded and balanced by blue and green textiles, and a neutral floor. 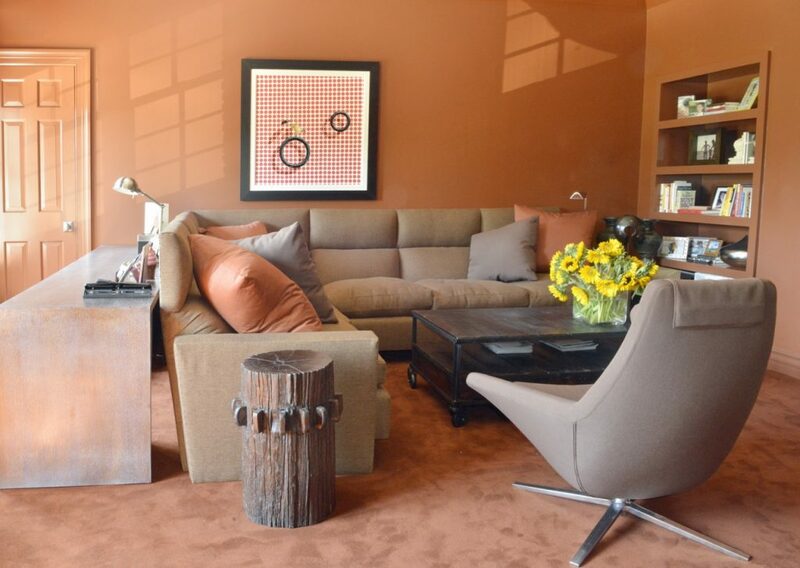 The result is a room that feels both inviting and fun. Adding a pop of pigment via a boldly-glazed ginger jar or vase is one of our favorite ways to bring interest to a bookshelf or hearth. 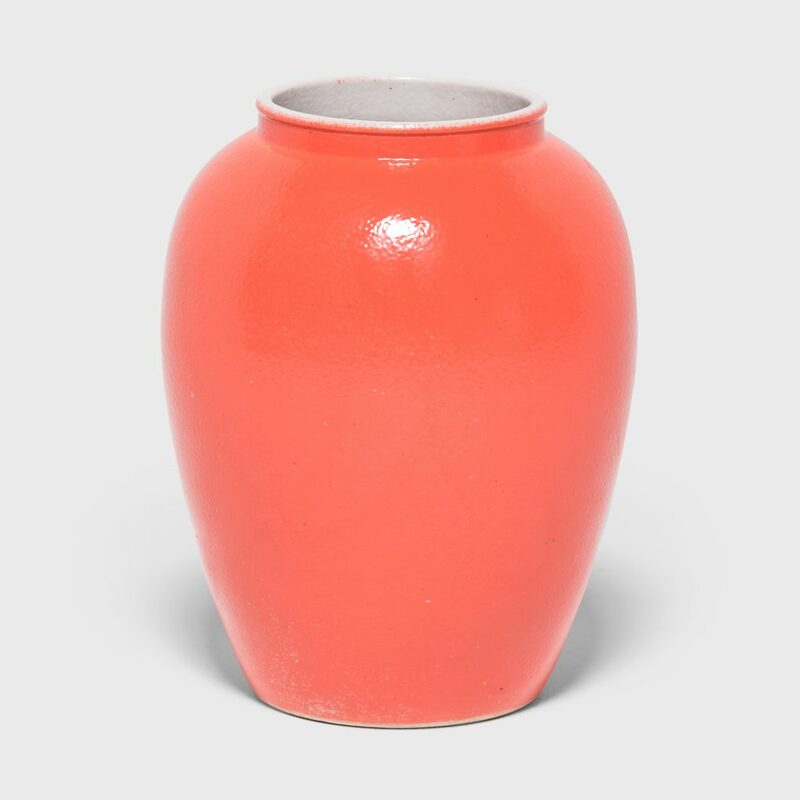 Brilliantly toned to resemble a Chinese persimmon, the contemporary vessel above adheres to the time-honored form of the Chinese baluster jar. The persimmon is an auspicious symbol of joy in traditional Chinese art, which seems energetically synched with Pantone’s verbiage. 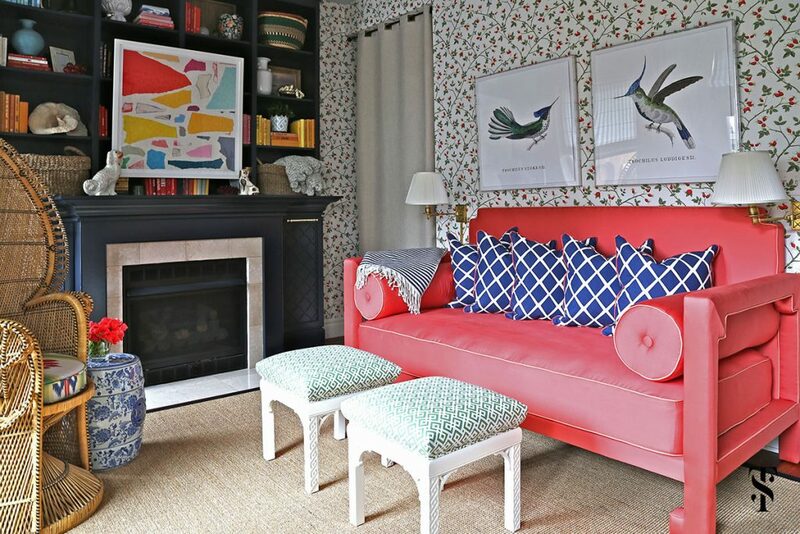 If choosing coral as the dominant hue in a room seems a bit too audacious—consider layering it in soft, slightly-varied shades, for a gentler take on the trend. The room above, designed by Vicente Wolf is a wonderful example of how soothing and enveloping this monochromatic approach can feel. 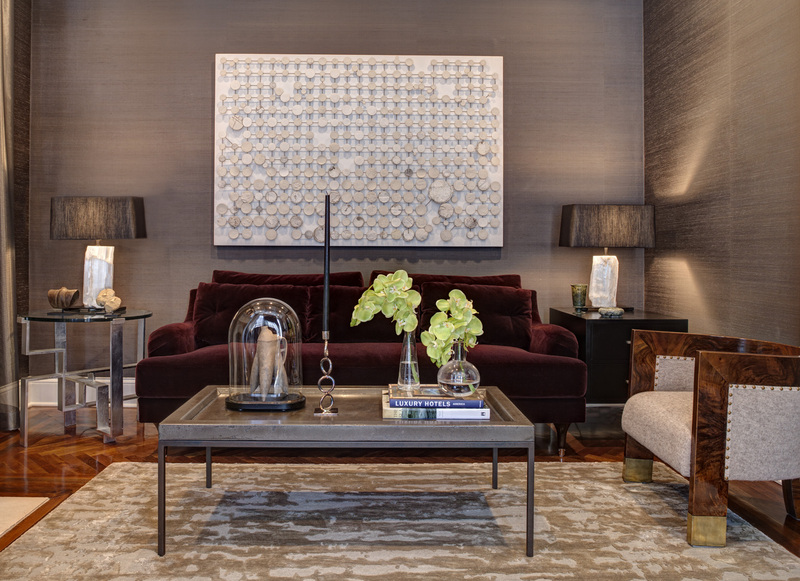 Another shortcut to excitement and movement is through the use of a show-stopping rug. This Central Asian carpet blends coral with other colors-of-the-moment like blush and plummy-grey, resulting an ultra-contemporary palate. 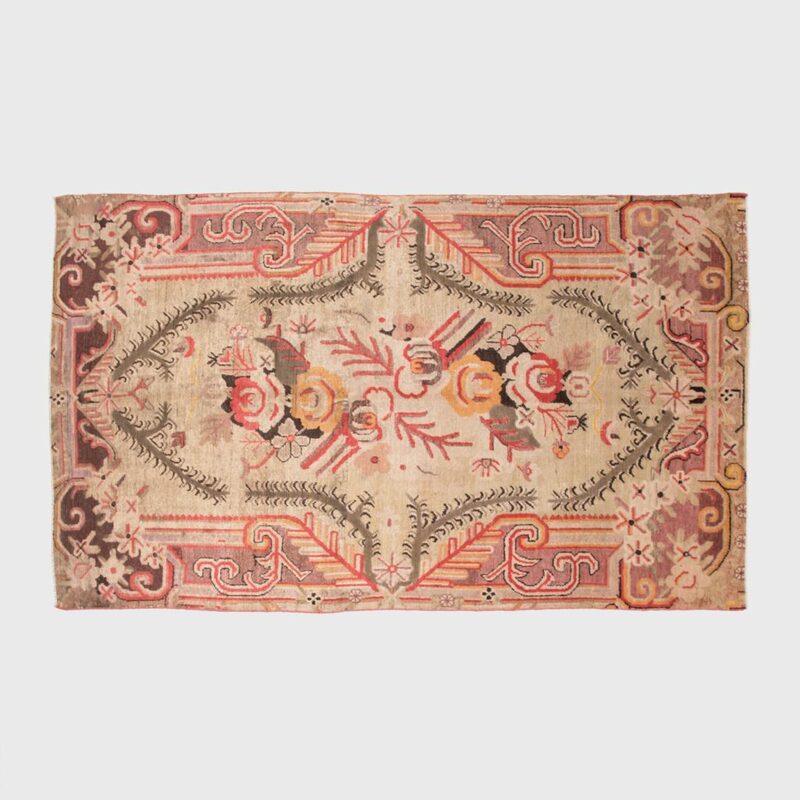 Handmade from wool, circa 1850, the rug hails from the oasis towns of East Turkestan, and reflects a fascinating blend of the neighboring cultures that influenced its design. 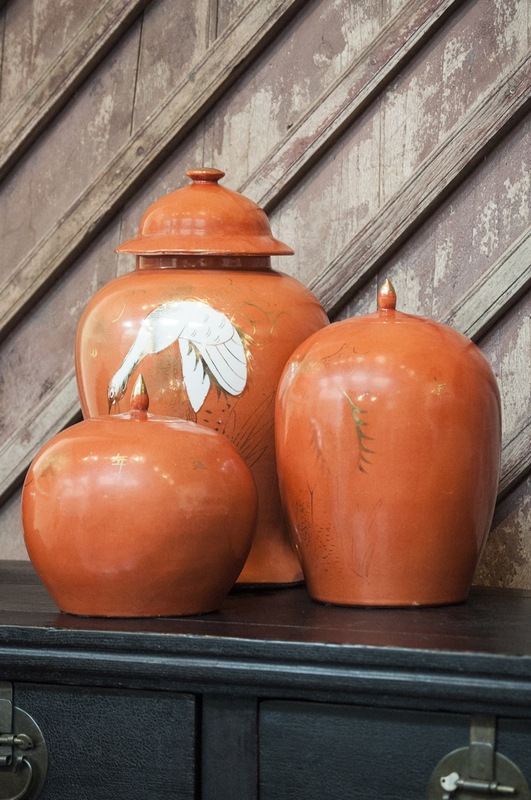 In another riff on persimmon-hued glaze, the 1920’s vase above would make a powerful statement in any space. 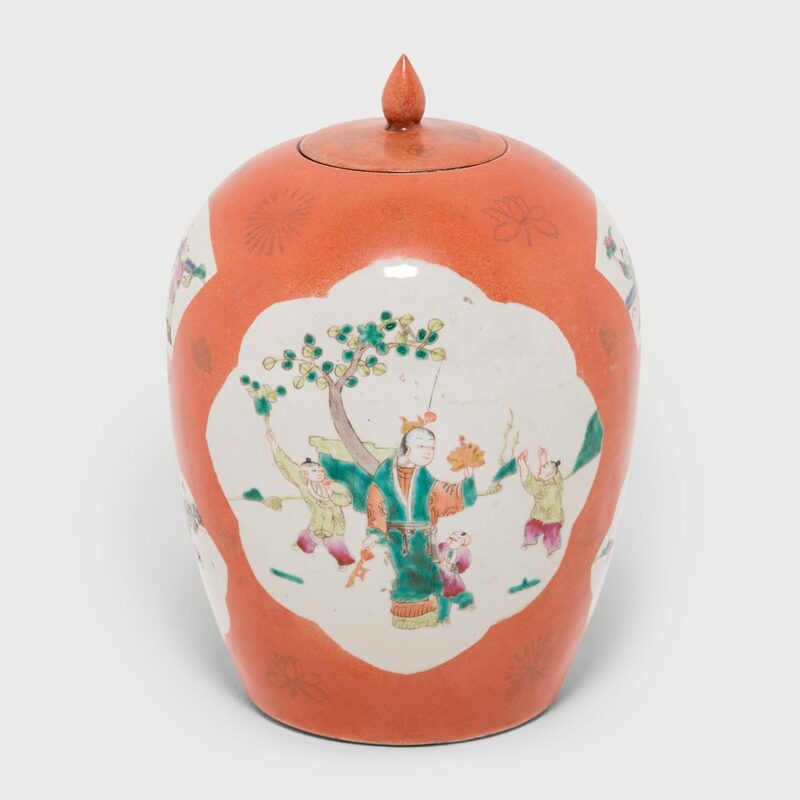 Aside from its on-trend embellishments, the piece is a great example of enduring Chinese design. Attendants in a garden watch over young boys playing with lotus branches, butterflies, and small charms. The scenes symbolize wishes of prosperity and longevity—and high hopes for the future. How perfectly in keeping with the optimistic mood of the latest color of the year! 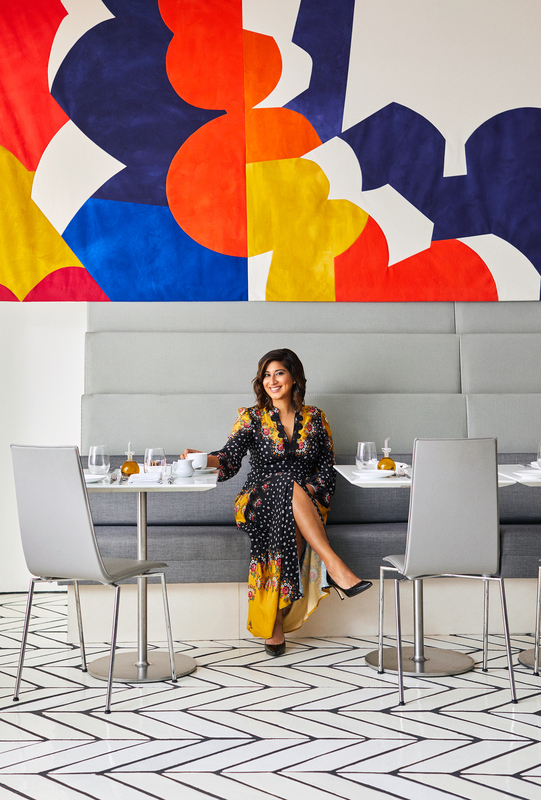 “The humanizing and heartening qualities displayed by the convivial Pantone Living Coral strike a responsive cord,” says Leitrice Eiseman, executive director of the Pantone Color Institute.